For years I have been a passionate lover of fine cigars, so it is my great pleasure to introduce to you my own line of premium handmade cigars manufactured in Honduras. They are made for the everyday smoker but are also complex enough for the aficionado to enjoy. Michael Lington has performed for royalty and sold-out crowds around the world. He’s one of the most popular and charismatic saxophonists on the contemporary jazz scene and the first single from his latest CD Pure, “Roadtrip,” zoomed to No. 1 on the instrumental radio charts. For the past three years he has been on a worldwide tour with legendary vocalist Michael Bolton as his special guest and performed more than 300 shows in 48 countries. In 2012, Lington celebrates 15 years since his first CD release. Since then, he’s piled up the accolades, as in 2009 he was Canadian Smooth Jazz Awards nominee and his 2008 CD Heat (featuring the No. 1 radio single “You and I”) was chosen as the influential Jazz Trax’s Best Album Of The Year. He’s now had more than a dozen hit singles, in addition to performing with other high-profile artists like Aaron Neville, Barry Manilow, Bobby Caldwell and jazz/R&B legend Randy Crawford. A native of Denmark, Lington moved to Los Angeles to pursue a music career and became a United States citizen in 2008. He’s was a part of the famed Tivoli Boys Guard at early age, later thrilling Queen of Denmark for her 50th birthday celebration. In 2012, Lington once again performed for the Danish royal family, marking the fifth time he’s held center stage. 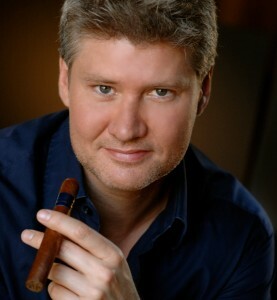 When not recording music or performing, he manages his own cigar company, Michael Lington Cigars, and also served as a cigar columnist for Wine and Jazz magazine.